Once again, Washington finds itself dealing with the debt ceiling, an issue that seems to tie up an increasingly polarized Congress that seems to put its own best interests ahead of Main Street America. 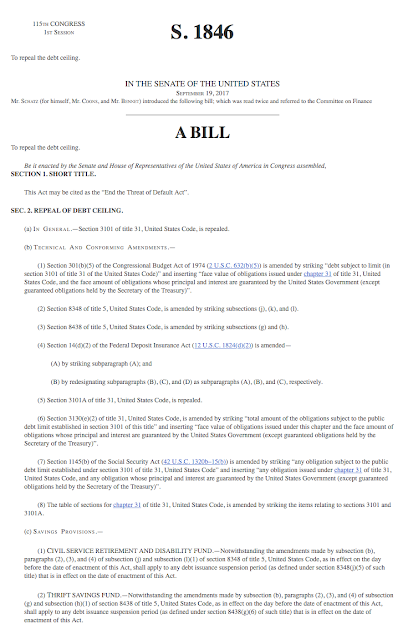 In this posting, I want to take a look at the concept of the statutory debt limit/debt ceiling and how Congress has dealt with this issue in the past. 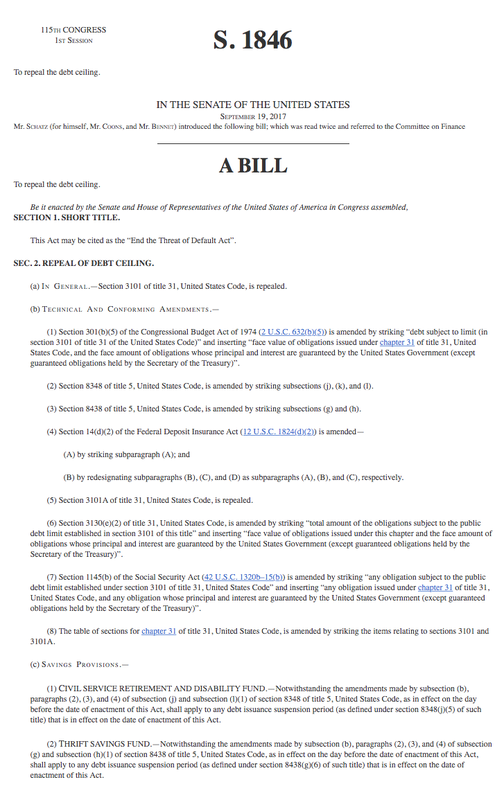 In recent years, as the federal government has added significantly to the debt through deficit spending, Congress has had to deal with the statutory debt limit on a relatively regular basis. 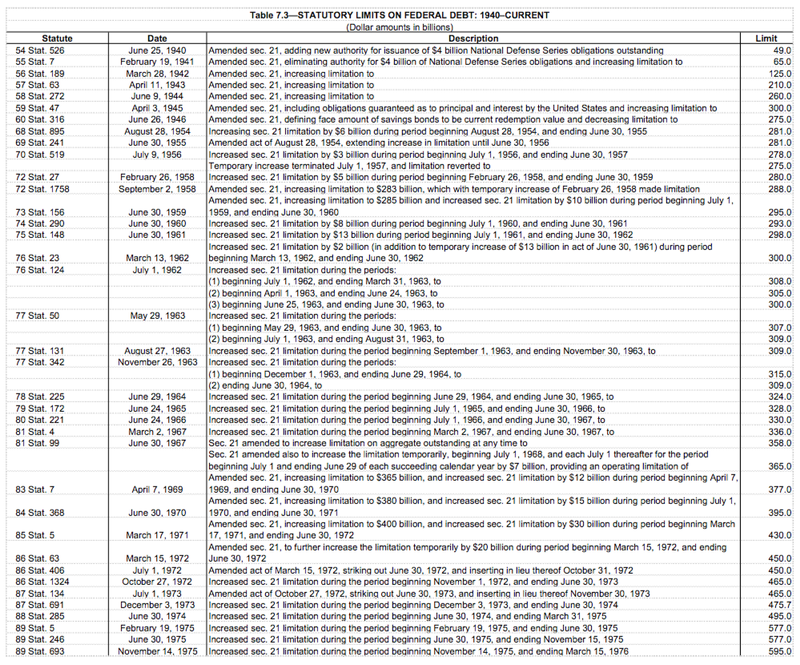 The statutory debt limit applies to nearly all federal debt including debt held by the public (i.e. 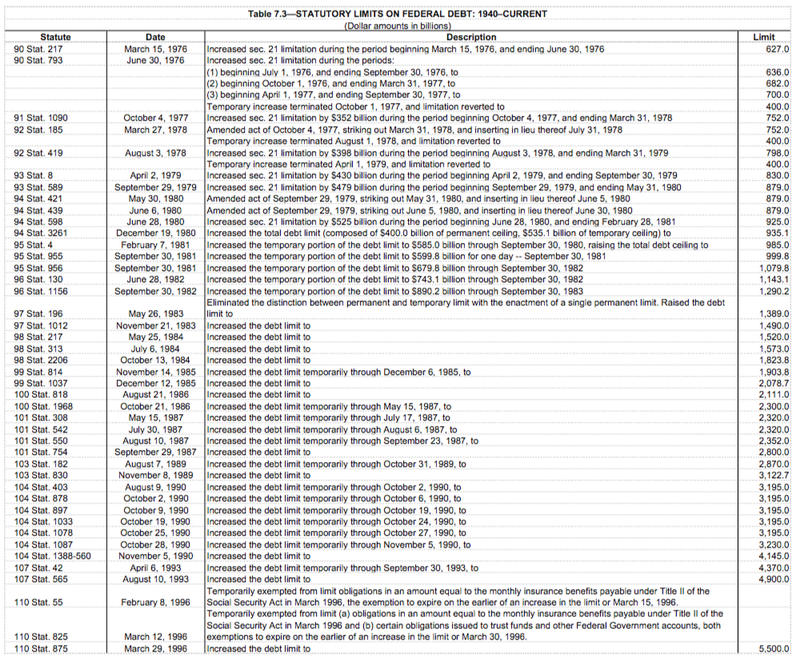 outside of the federal government itself) and debt held on the government's own accounts (intragovernmental debt). Approximately 0.5 percent of total federal debt is excluded from debt limit coverage. Most of the government's own debt is held in federal trust funds like Social Security, Medicare, Transportation and Civil Service Retirement accounts. Even though there are hundreds of federal government trust funds, the 12 largest government trust funds hold 98.8 percent of the intergovernmental debt. 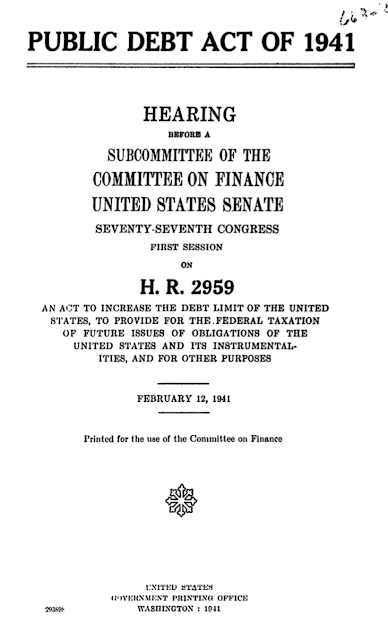 In 1946, the Public Debt Act was once again amended, lowering the debt limit to $275 billion. 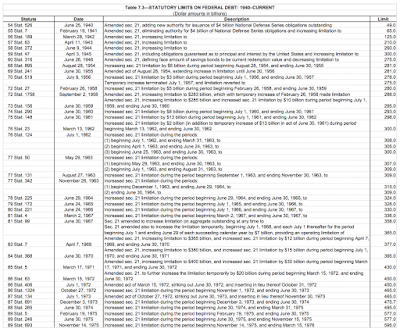 Congress has either changed, amended or suspended the statutory debt limit 115 times since the Public Debt Act of 1941 was passed. 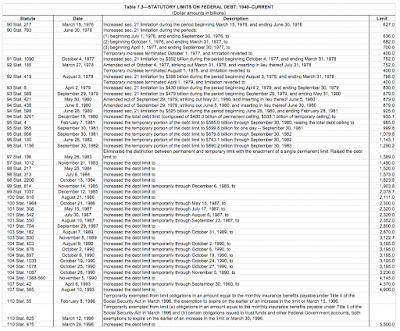 As you can clearly see, Congress has repeatedly used various measures that have "kicked the debt can" further and further down the road. As shown in grey on the graphic, since 2013, rather than coming right out and increasing the debt limit, Congress has tried to save face by temporarily suspending the debt limit five times with the latest suspension ending on March 15, 2017. When the debt limit was reinstated, it was always reset at a new, higher level. As I have said before, the new debt ceiling becomes the new debt floor since Washington has no hope of ever paying back any of its outstanding obligations. So, instead of dealing with keeping spending within the limits of revenue, the Congressional solution appears to be to get rid of the debt ceiling entirely, a move that would allow Washington the uncontrolled spending powers it desires with no fear of retribution by either Treasury holders or the American voting public.